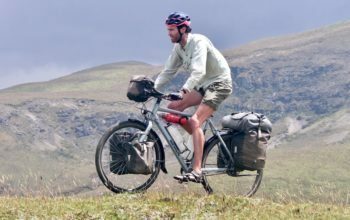 The Sutra is a long-distance touring bike that has been quietly refined over the years to be one of the best touring bikes available. 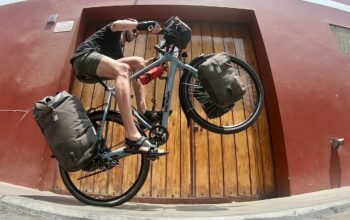 The 2018 Kona Sutra has received only a minor update, but this won’t stop it taking you where you want to go. 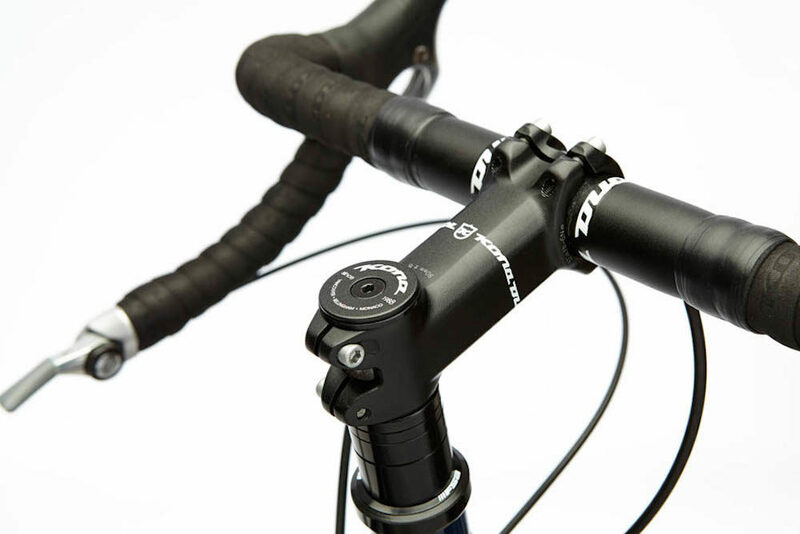 You can click HERE to read a bit more about how Kona changed the Sutra’s frame geometry a few years ago. 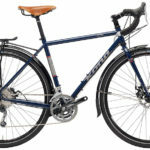 This drop bar touring bike is fitted out with 9-speed barend shifters. 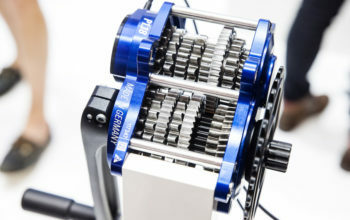 This will be great news to anyone travelling to the more remote locations as 9-speed parts are typically more common to find over 10-speed. 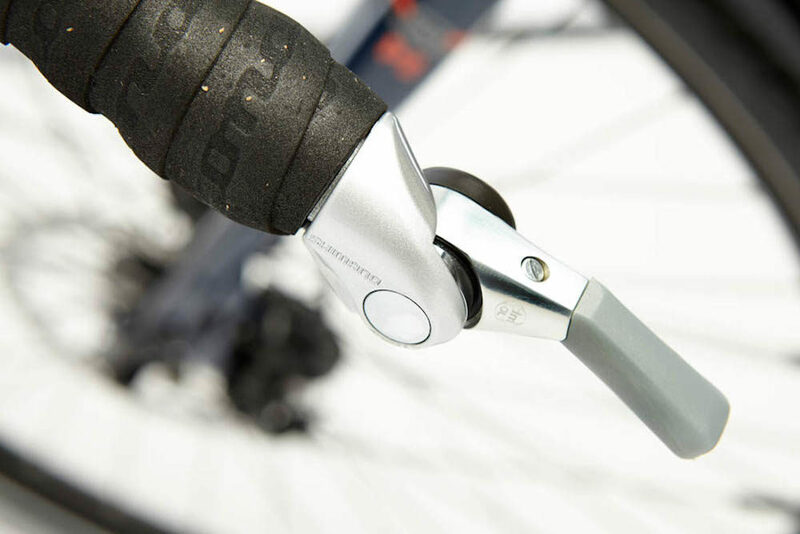 Slowing the bike down are some Hayes cable disc brake calipers matched to TRP levers. 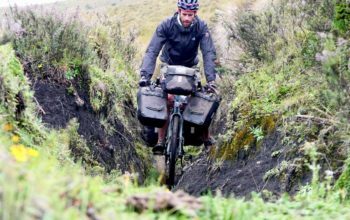 The biggest change to the specification for 2018 is the choice of tyres. 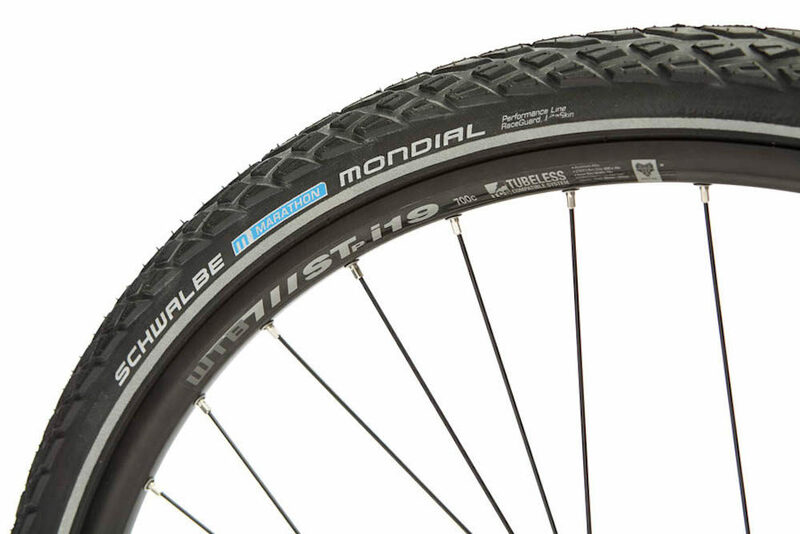 The Sutra is now equipped with Schwalbe Marathon Mondials in size 700x40c. 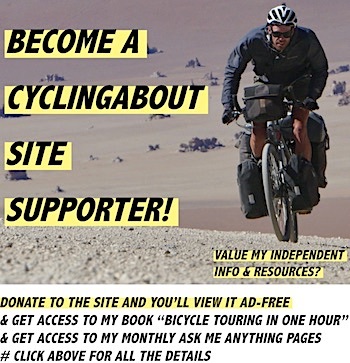 These are really popular in touring circles for their longevity, puncture resistance and grip on dirt roads. That said, it’s worth noting that these are the ‘performance’ line of Mondial tyres, as opposed to the ‘evolution’ line (which I’ve used to complete 25,000km). 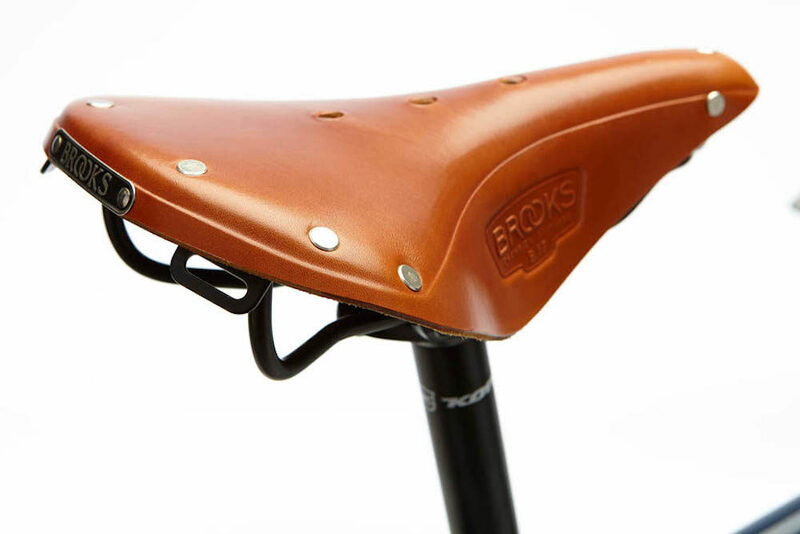 Cycling bums around the world will rejoice with another touring favourite; the Brooks B17 saddle. 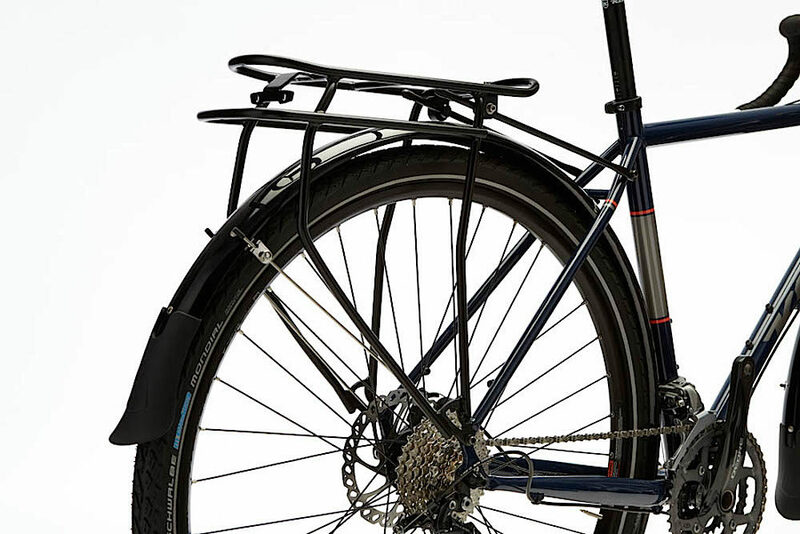 This is a very common upgrade from the stock saddle for many people as the B17 is renowned for moulding to your backside, offering long-term cycling comfort. 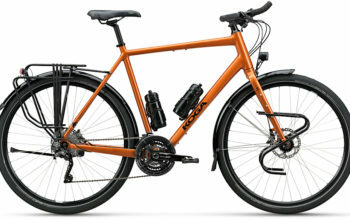 The 2018 Kona Sutra comes with a rear rack and fenders out of the box, and with the addition of a front rack (I like the Tubus Tara), you’ll be able to carry enough gear to tour almost anywhere. 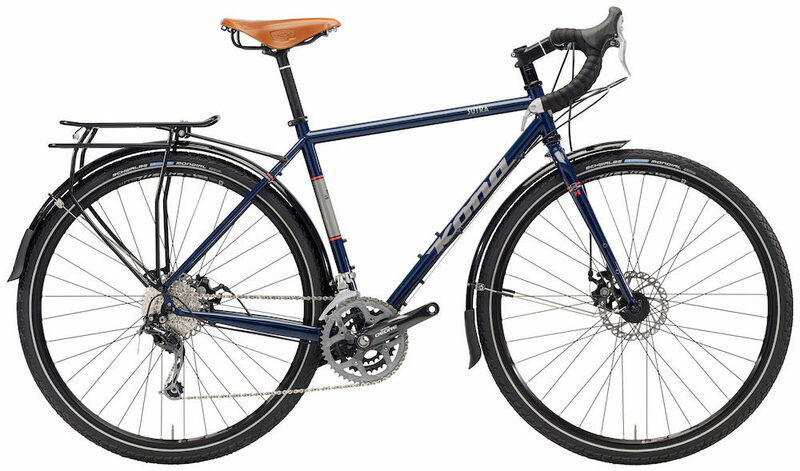 The 2018 Kona Sutra uses a Shimano Deore 27-speed drivetrain which covers a gear range of 21-119″ – good enough for most hills and certainly enough gears for the flat. 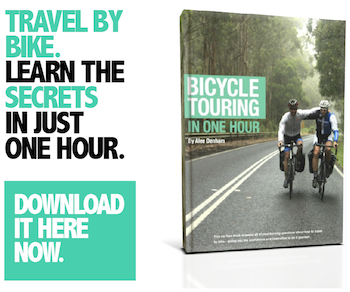 Should you need smaller gear ratios, you can easily switch out the chainrings to size 44-32-22t to make this a climbing machine. 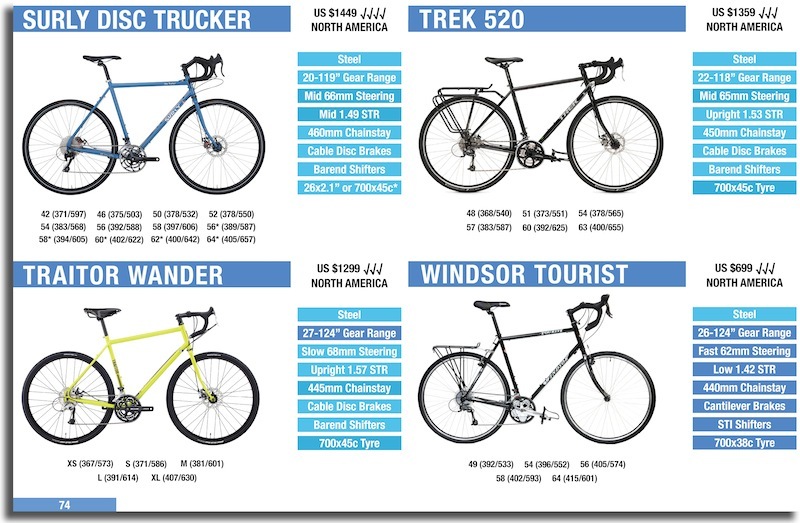 The bike is available in six sizes and retails for US $1499.